KUALA LUMPUR (Feb 11): On the eve of his father’s legal battles over dozens of 1MDB-related charges, Nooryana Najib has appealed to the public to support ex-PM Datuk Seri Najib Abdul Razak (pictured) via Instagram. She revealed how Najib still has the people in his thoughts when asked why he wanted to battle on. “I once asked my father, “Are you sure you want to keep on fighting? Think about what they may do to you, to the family, to your supporters?” His response was, ‘Remember Prophet Muhammad still carried on with his struggle even with only a handful of followers. I know it will be painful. But I want to be there for the people when the dust settles, and the stark reality of Malaysia Baru sets in’,” Nooryana said in her Instagram posting which was accompanied by a black and white photo of Najib shaking hands with supporters. “They will need someone to listen to their grouses, someone to stand with them, someone to tell them all is not lost and that we can do something about it,” Najib told her. She also described her father as the current administration’s “strongest critic”. “42 charges. And only one has to stick on a technicality and the government would have silenced its strongest critic,” Nooryana said. “Every second he spends alone in the accused dock, he will be thinking of his family, friends, supporters and the people that he so deeply cares for. You are his source of strength and determination. It will be your kind thoughts, encouraging words and heart-felt prayers that will help him weather this storm. “Please stand by him in what will be the biggest test of his life,” she concluded. 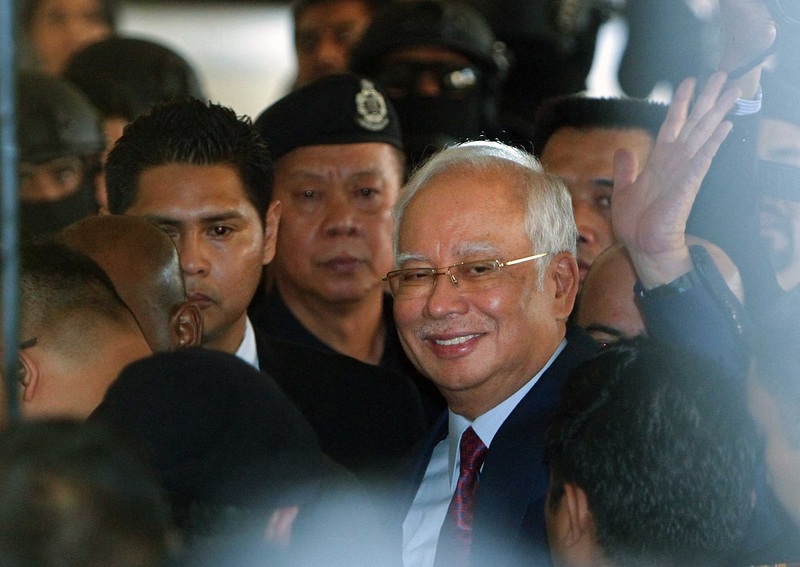 As of last week, Najib has been charged in court six times on 42 counts of criminal charges. He has pleaded not guilty to all the charges. The charges against Najib have been described as “the worst kleptocracy scandal ever” and are mostly related to the notorious 1MDB fund. The first hearing is set for tomorrow before the KL High Court.